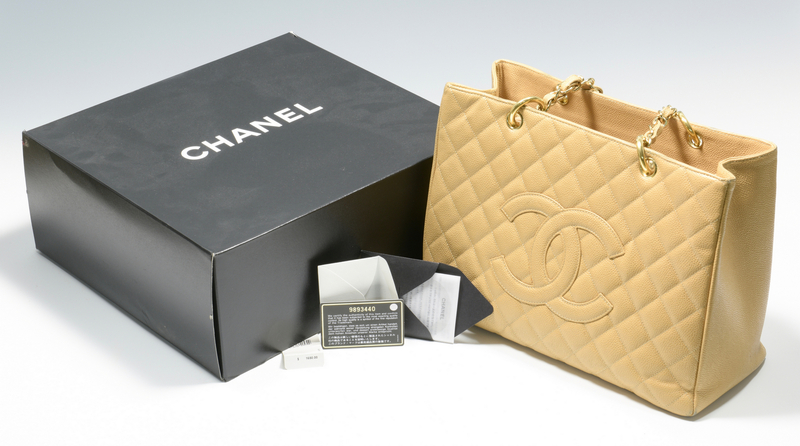 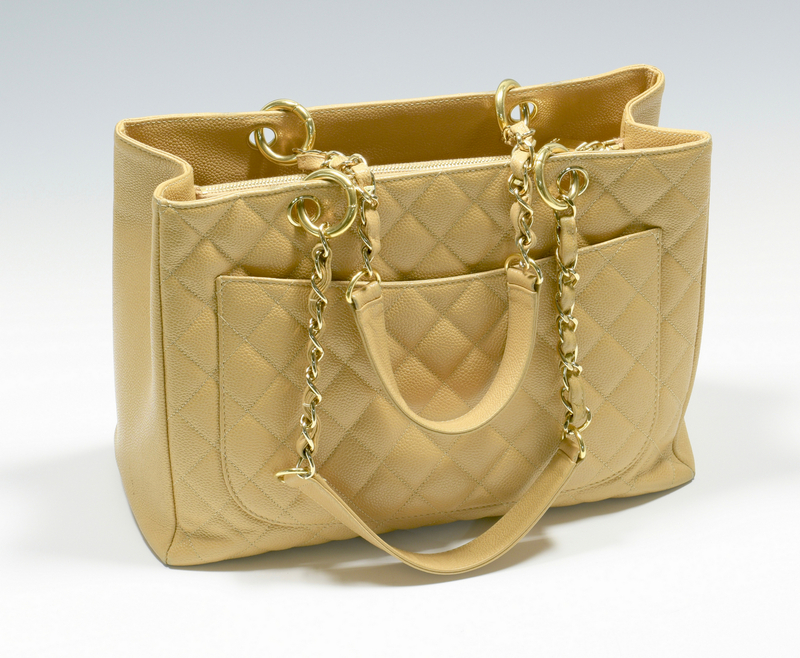 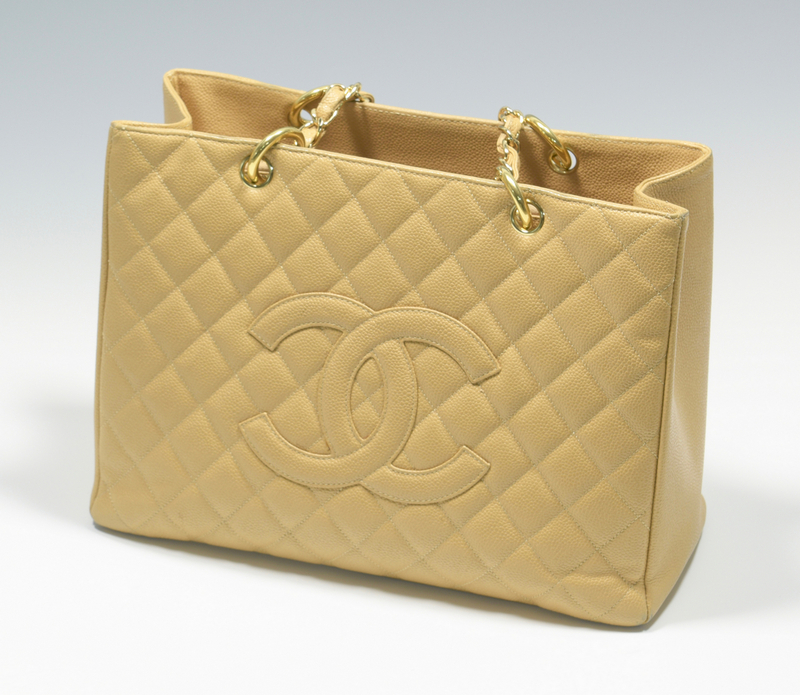 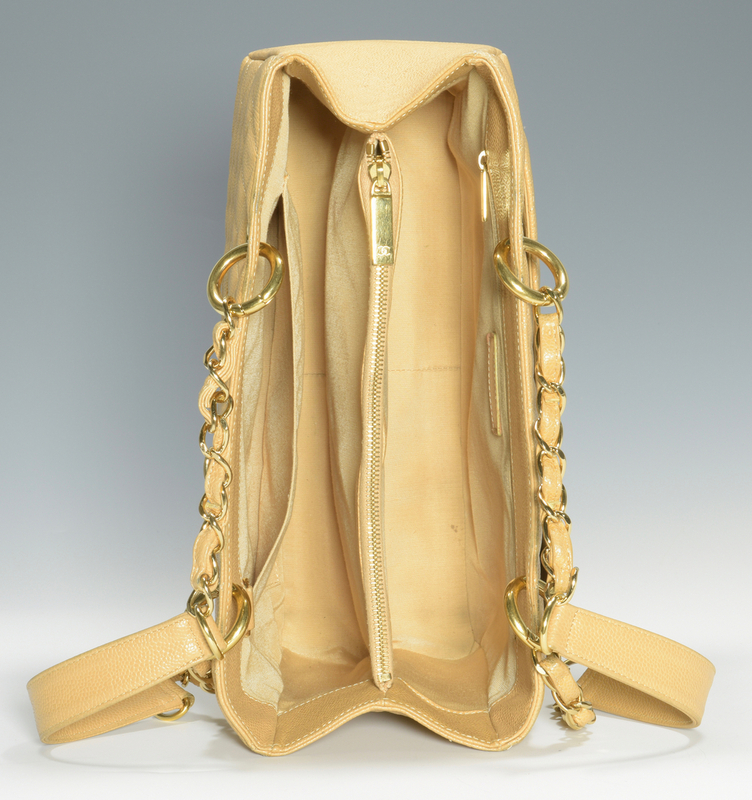 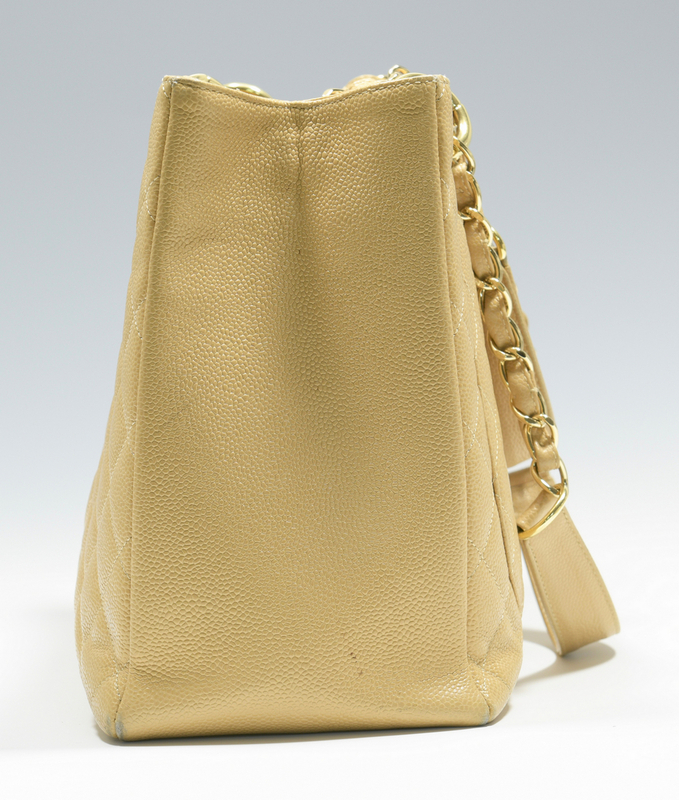 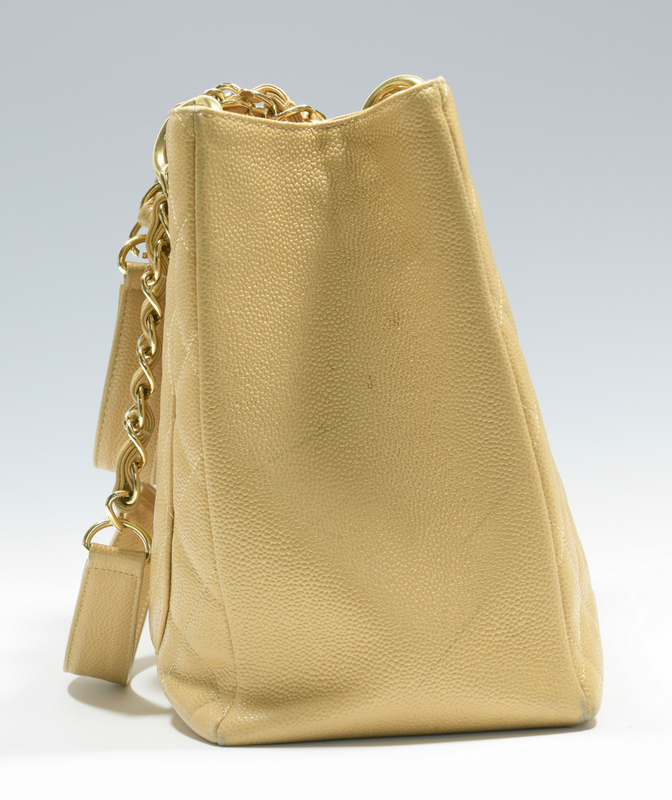 Beige Chanel Grand Shopping Tote with gold hardware, classic Chanel chain leather and interlocking C logo. 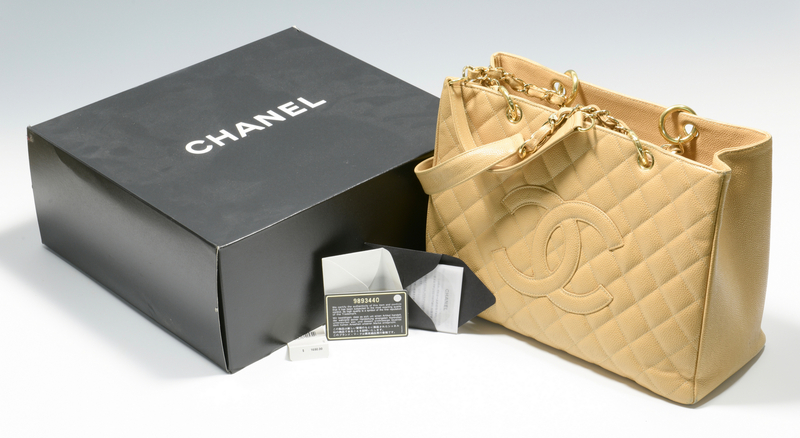 Serial # 9893440 with original box. 10" H x 13 1/2" W x 5 1/2" D. Estate of Jane McKinnon, Lenoir City, TN. 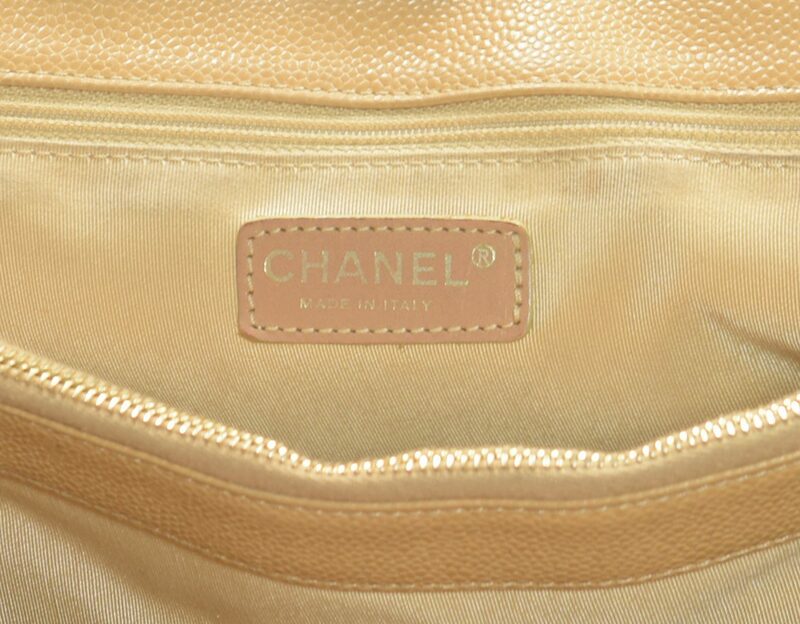 CONDITION: Excellent condition with minor sign of wear on interior.